Electro-pop eccentric Born Gold (a.k.a. Cecil Frena) has announced a new video single series to follow up his 2013 LP I Am an Exit. 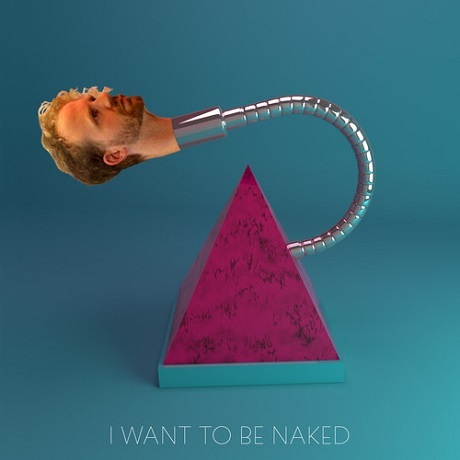 Only thing is, he's starting the "No Sorrow" series without the actual visuals behind first entry "I Want to be Naked." It's a real Emperor's New Clothes ordeal, but you can at least stream the song for the time being. Born Gold's latest track features a thunderclap electronic boom, off-kilter guitar stabs and various skittered synth sounds handling the bulk of the arrangement. Frena's reedy vibrato, meanwhile, rolls out multilayered as he details a "just friends" narrative. He later croons that's he's nevertheless got his "eyes on the prize and [his] back turned on death," and he's probably bare-assed as this all happens. A video that may well give us an NSFW eyeful is still on the way, but you can stream the audio down below.